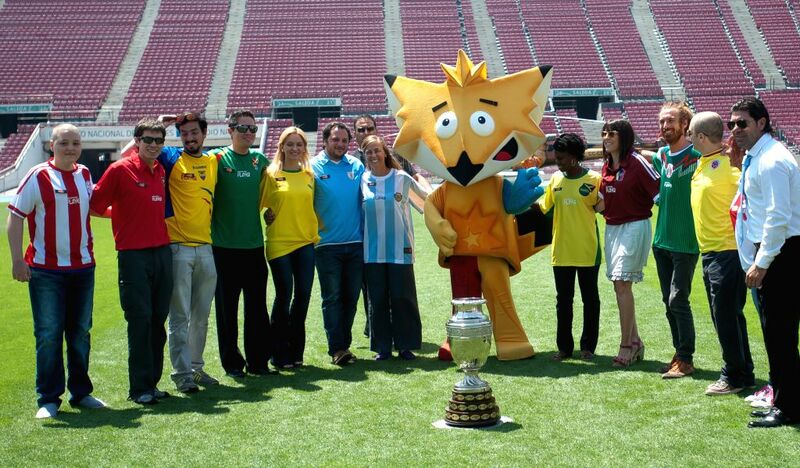 SANTIAGO, Jan. 15, 2015 - Representatives of countries competing in the 2015 Copa America Chile pose during the presentation of the trophy at the National Stadium in Santiago, capital of Chile, on Jan. 14, 2015. The Trophy Tour will visit 11 cities where the Copa America will take place. The 44th Copa America will be held in Chile from June 11 to July 4, 2015, according to local press.